While I was driving home from Providence, RI after taking my day 65 photo, I notice the moon looked super close and an interesting color. I went over to an open parking lot in Fall River, MA around 1am and snapped a few shots. 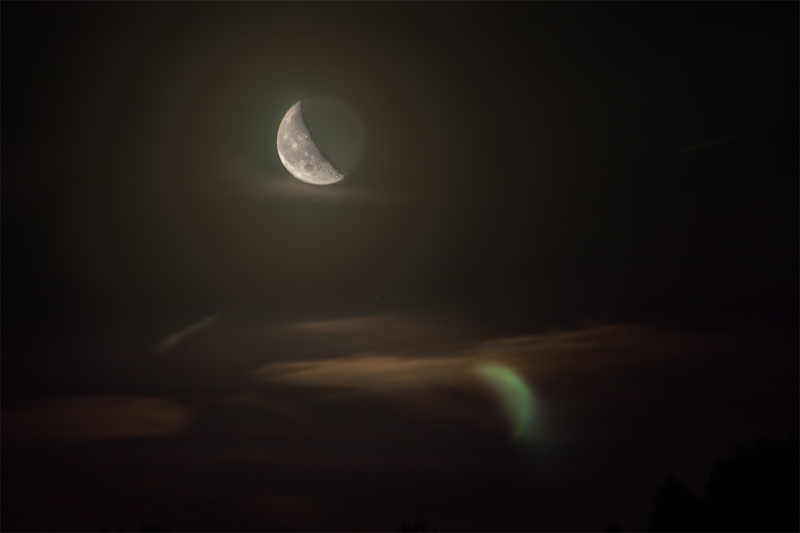 This was taken with my 300mm, 2 photos, one exposed for the moon and one exposed for the sky, merged in photoshop. I loved how the moon caused an interesting lens flare on the long exposure shot.